In 1944, German soldiers found a fossilised jaw bone, but it was in 2012 when the remains were attributed to the Graecopithecus freybergi, a 7.2-million-year-old human-like species. The remains were related to a fossilised premolar found in Bulgaria, which prompted researchers to analyse the species to a deeper extent. The result was a dispute regarding the feasibility of the species having evolved from chimps in Europe, and not Africa as commonly thought. Researchers led by David Begun, from the University of Toronto, assure that, if the fossilised remains belong to a human, they would represent the oldest human ancestor found to date and the first to be found outside of Africa. This would be against Darwin’s hypothesis of the earliest humans and chimpanzees originating in Africa. The finding has been labelled as controversial at most, mainly because if confirmed, it would redefine anthropology’s classic conventions. The issue is that there is not enough evidence to prove the claims, as researchers are relying on a jaw bone and a single tooth, only being able to identify them as the same species thanks to the roots of the teeth. The jaw bone is 7.175 million years old while the tooth is 7.24 million years old. Coincidentally, in that same period, the Mediterranean landscape was similar to many of Africa’s inner savannahs. The team states that it is not enough to analyse a specimen’s teeth to claim that it is a hominin or not. The ideal type of fossil to find would be those that illustrate how the Graecopithecus was able to move in its environment. The species would have lived in the Messinian age when the North African deserts started to form, and Southern Europe was teeming with prairies and savannahs. At first, it was thought that the split had occurred at least 25 million years ago, but molecular research in the 1970s revealed that the first specimen that separated chimps from humans existed less than 8 million years ago. More recent studies suggest that the split between humans and apes occurred between 5 and 7 million years ago. The result was obtained through genetic sequencing by comparing the genes of humans, chimpanzees, orangutans, macaque monkeys, and rats. Researchers from Arizona State University analysed the mutations in the DNA sequence in each sample to establish a possible measurement of how quickly it evolved. As years went by, an exact estimate of the split became harder to find, as the evolutionary process appeared to branch out into different paths, altering the chromosomes of each species. The key to this whole matter could be the characterization of the Graecopithecus freybergi, although the lack of fossilised remains makes the task difficult at most. 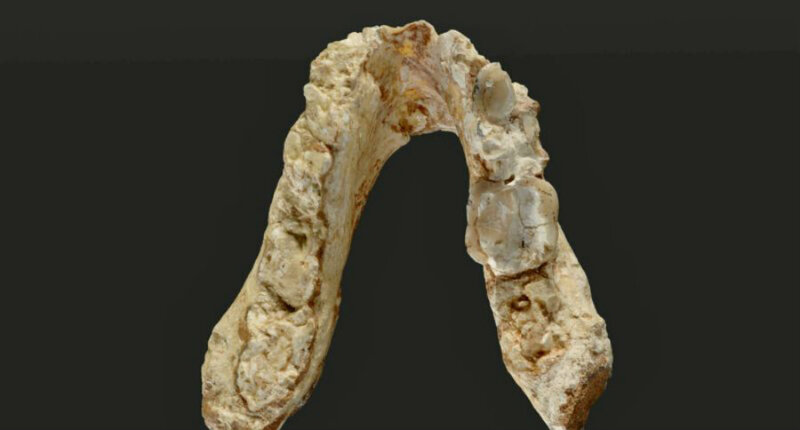 Its molar teeth suggest that it is a hominin species and not a chimpanzee. A possibility is that the Graecopithecus is related to another species found in Europe, the Ouranopithecus macedoniensus. Both species were found in Greece, while the Ouranopithecus dates from the Late Miocene, which would be between 9.6 and 8.7 million years ago. While some scientists believe that the Ouranopithecus and the Graecopithecus could be the same, the Ouranopithecus remains found so far are much more primitive, although it is classified as a hominid species. David Begun and his team wrote that earlier studies have proposed that early European hominids may be related to African hominids. 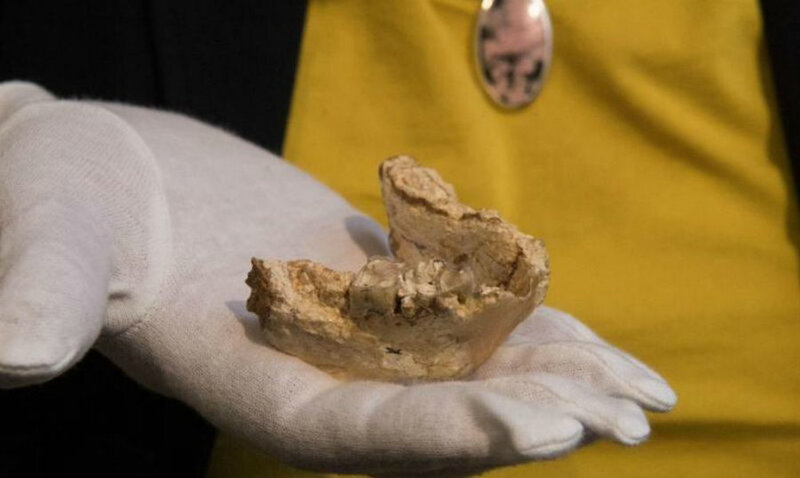 When considered without prejudice, the existence of the Graecopithecus appears to evidence that hominins lived in the Balkans, and joined to the Ouranopithecus, it seems that there are far more ancient hominin specimens yet to be found in Europe. Begun assures that, if there are teeth and mandibles out there, there surely are other specimens waiting to be found. He recognises that the evidence at hand is “less than ideal,” and that they need much more to ensure that hominids may have lived in Europe. Researchers cannot continue to look for fossils at the spot where the Graecopithecus was found because the owner of the land built a pool over it. On the other hand, the place where the single tooth was found remains able to be surveyed for more fossils. It is located in the Balkans, near the Aegean Sea.